If you have school age kids, or if you just like to keep results for yourself, print off this 2016 Electoral College Map and fill in the results while you watch the election tonight. It is a great opportunity to teach our kiddos how the Electoral College impacts voting and to get them excited about how government works. 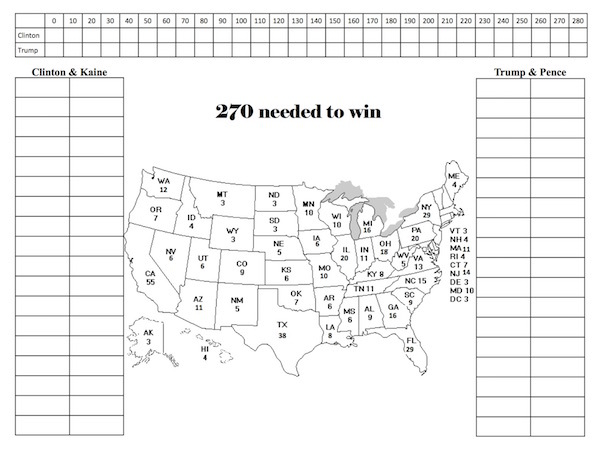 The post 2016 Printable Electoral College Map (Fill-In Version By State) appeared first on Faithful Provisions.